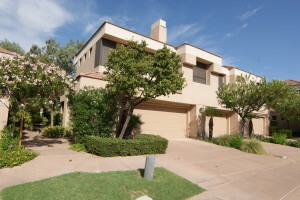 One of the best bargains in Gainey Ranch is the remodeled condo at the Oasis #218. This beautiful 2 bedroom, 2 bath plus den unit is aggressively priced at $365,000. Both bathrooms and the kitchen have been remodeled and it comes with an attached 2-car garage. The Oasis complex is justs steps away from the Gainey Ranch Golf Club and the Shops At Gainey Village. Get all the details about this condo at my website www.GaineyRanchProperties.com .